I am always on the lookout for YA HF and was excited when The Hired Girl was featured on netgalley. Though I had not heard of this book before, the author Laura Amy Schlitz was familiar to me as a John Newbery award winner. Introduced to Joan when she is only 14 years old, it wasn't hard to care about her. Taking place in 1911 the author painted a vivid picture of what her life is like, motherless and serving a brutal father who seems to care very little for his only daughter. It wasn't hard to visualize the times and how hard Joan worked. In some ways Joan is a mature 14 year old. Deciding to take control of her life she risks much and ends up as a Hired Girl to a Jewish family in Baltimore. This book is told through diary entries which worked very well here. While pretending to be 18 is where her immaturity shows, with different entries from 'wonderful day', 'terrible day' to 'woe is me' days she is the 14 year old in need of guidance and someone to genuinely care about her. The debates regarding religion were interesting, showing her ability to think for herself and desire to learn. Not overly preachy it was a nice touch. 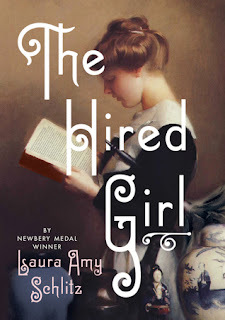 I really enjoyed reading The Hired Girl, but will admit a few times I thought it dragged a little at the half way point. 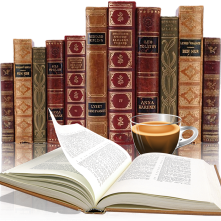 The ending was great and answered some questions that were nagging me for much of the book. I would have liked to read some Author Notes at the end, just to get more info on the background and more about the author's grandmother and inspiration for writing this book. Rated as YA I think this will definitely appeal to adults as well.